Samajwadi Party president Akhilesh Yadav alleged that the BJP-led government failed to fulfil its 2014 poll manifesto promises. 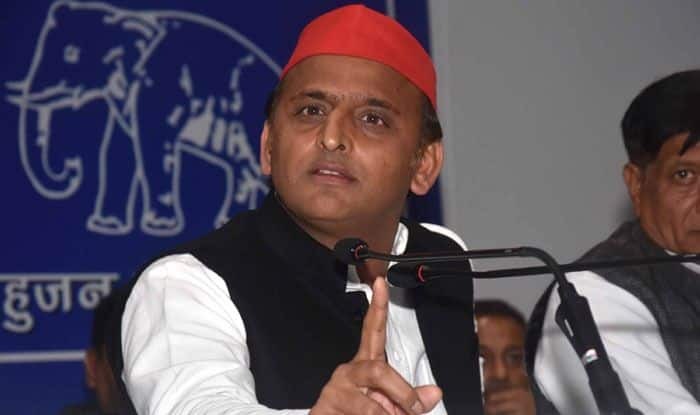 Samajwadi Party president Akhilesh Yadav on Tuesday said the BJP will not only have to give the report card of its government at the Centre but also of the two years it has been in power in Uttar Pradesh. The former chief minister alleged that the BJP-led government failed to fulfil its 2014 poll manifesto promises. “It has only been promises which have been given to the people by the BJP government… not a single one has been fulfilled,” Yadav said at an election meeting here. “The farmers were befooled that money will be deposited in their bank accounts which has yet to come and jobless were told that they will get jobs,” he alleged at the Sikandrau rally where votes were sought for the alliance candidate from Hathras (Reserve) seat, Ramji Lal Suman. “The BJP will not only have to give the report card of the works of the five years of its government at the centre but also of the two years of the Yogi government in Uttar Pradesh…they have to tell the people what has been done in the seven years,” he said. The SP president claimed that BJP leaders have “lost their sleep” seeing the support the alliance was getting. Hathras goes to polls in the second phase of the Lok Sabha elections on April 18.